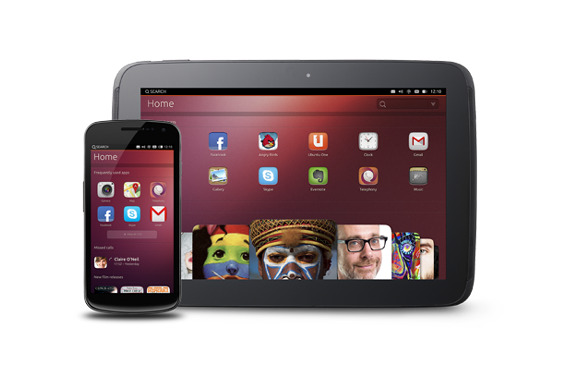 Just two days after Canonical's launch of Ubuntu Linux for tablets, the company released the developer's preview image it had promised for both tablets and phones. With images and installation instructions for the Nexus 7 and Nexus 10 tablets as well as smartphones including the Nexus 4 and Galaxy Nexus, the preview release was designed to show “how well the vision of a design family across different form factors works,” as Ubuntu developer Daniel Holbach explained in a blog post last Friday. Much the way Canonical recently solicited the community's help in designing and creating a set of basic open source apps that will come preloaded on Ubuntu Phone devices, so it is now asking those with access to any of these four Nexus devices to help test the Ubuntu Touch preview images on them. For all others, it has launched what it calls the Ubuntu Touch Port-a-thon. Aiming to help get Ubuntu Touch on many more devices, Canonical just launched its new Ubuntu Touch Porting guide and simultaneously kicked off its Port-a-thon, through which it hopes developers will get the software up and running on the devices of their choice. “If you don’t mind some tinkering, maybe some kernel building, some configuration meddling, and flashing your device repeatedly, you might just be the person we’re looking for,” Holbach wrote. Included in the porting guide are instructions about how Ubuntu Touch works internally, how images are put together, how to test them, and more. If the results so far are any indication, it won't be long before Ubuntu Touch runs on the full gamut of hardware. In fact, participants in the project have already indicated that a full 25 additional devices are now being worked upon, beyond the original four. Included among them are the Motorola XOOM, the Sony Xperia, the Huawei Ascend G300, the Samsung Galaxy S and Galaxy Note II, the Asus Transformer Pad TF300T, the Dell Streak 7, and a variety of HTC devices. Visitors to Mobile World Congress in Barcelona this week, meanwhile, can skip the hard work and let the professionals do it for them: Staff at Canonical's booth (81D30 in App Planet Hall 8.1) are on hand to flash visitors' hardware with the Ubuntu Touch Developer Preview.